We all want to look flawless but nobody like a makeup that looks like you have a mask onn. 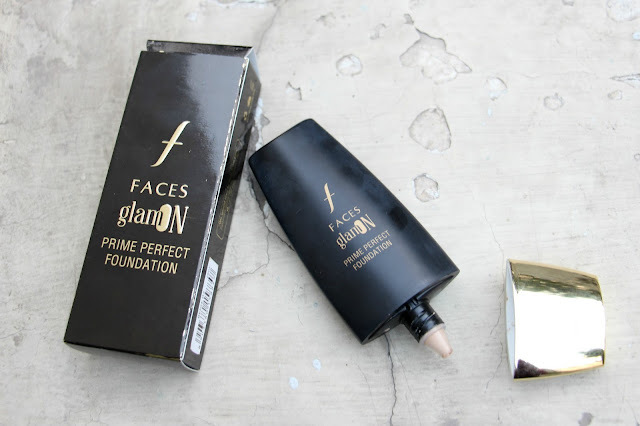 So today we will be talking about Faces Glam On Prime Perfect Foundation which is a recent release and promises flawless and radiant skin. 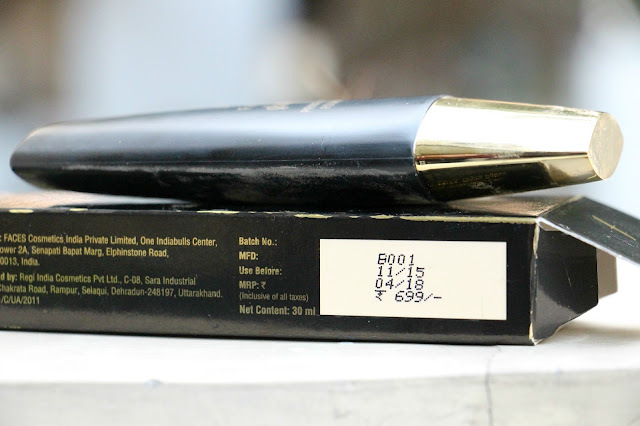 Faces Glam On Prime Perfect Foundation costs 699 INR and comes in this matte black tube with a gold cap. So, let's be real, that's a lot of claim and do not sound super realistic.For a oily skin girl like me it's even more difficult. I had absolute no hope as the packaging says it's a creamy formula. 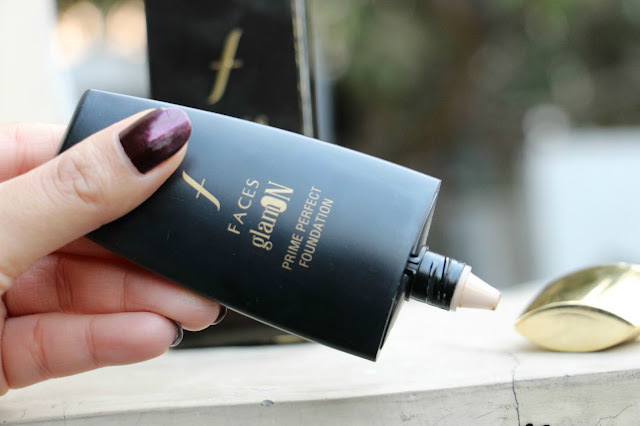 The foundation has a luxurious medium consistency formula that spreads really easily. I use to use this foundation with my fingers and it's gives a even coverage with no streaking at all. Coverage is light to medium depends upon how much you use.1-2 light layers are enough for a medium coverage. The foundation looks super natural,no one can guess that you have it onn. It looks like you skin instantly became healthy, radiant and silky smooth . Skin looks fresh but not oily at all. Oily skin girls need to set it up a transparent powder but normal and dry skin girl are good to go without any powder. 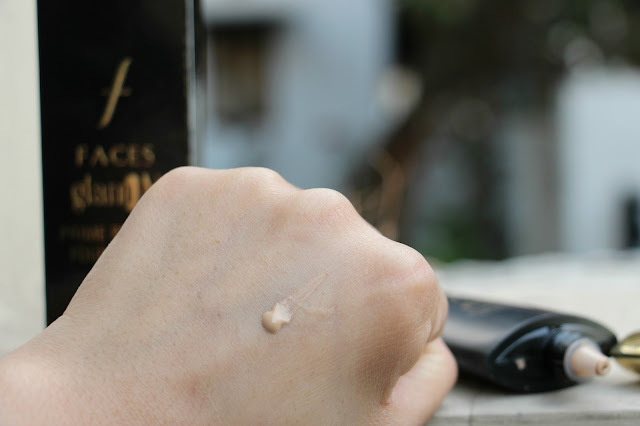 I have super oily skin so I am always touching up , this foundation looks amazing for 4-5 hours without touch up . 5)It's moisturising but not sticky. 6)Perfect for this winter weather. 7)It minimizes the appearance of pores, just like a primer does. 8)I wold say for a person who has oily skin like me, it would stay 5 hours without looking too greasy. 9)Suitable for all skin types. 11) Paraben and cruelty free. 1)Do not use too much or else it would look cakey when it get a bit oily. 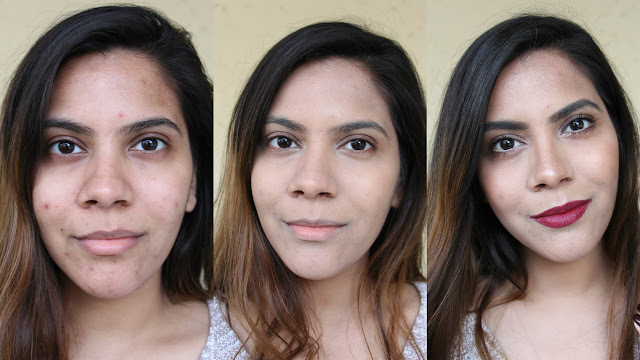 At the whole I am in love with Faces Glam On Prime Perfect Foundation,it's the most natural looking foundation I have used till date.A Great everyday foundation that will suit all skin tones. 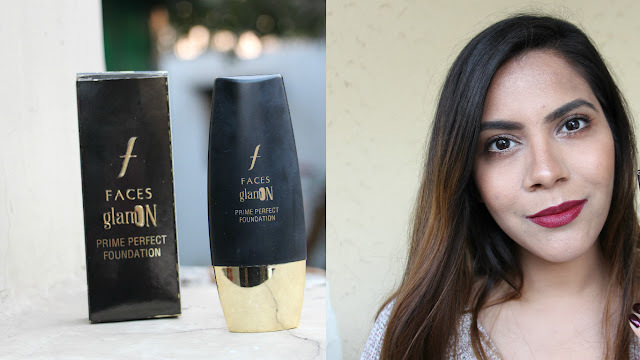 If you are looking for a skin like natural looking foundation that stays all day, Faces Glam On Prime Perfect Foundation is a must try.